Pulled an over-niter at work or partied too hard over the weekend? Here’s some tips to help you camouflage tired eyes and give your peepers some TLC. 1. Dark under eye circle are dead giveaways that you haven’t gotten your beauty sleep, so be sure to use a skin care product that alleviates dark circles and gives the skin around the delicate eye area a moisturizing boost. Smooth on as part of your daily routine for best results. 2. Concealer is key. Never underestimate the magic of concealer. The right shade of concealer can hide dark circles around the eye area in a jiffy. To apply, dot the area with concealer, then blend well by patting gently. Don’t tug as this motion may cause wrinkles and crow’s feet. Apply light colors to inner eyes and darker colors to outer eyes for a wide awake look. 3. Boost the effect of your concealer with a touch of mascara. This will further open up your eyes and make them look brighter and more alert. 4. Soothe strained eyes with eye drops or artificial tear drops. Eye drops lubricate the eyes and will provide them with much-needed moisture to hydrate and rejuvenate them. Eye drops can also get rid of those unflattering red veins that are telltale signs of tired, irritated, and dry eyes. 5. Tired eyes can make you look older than usual, so make sure to follow a strict beauty regiment in caring for your peepers. 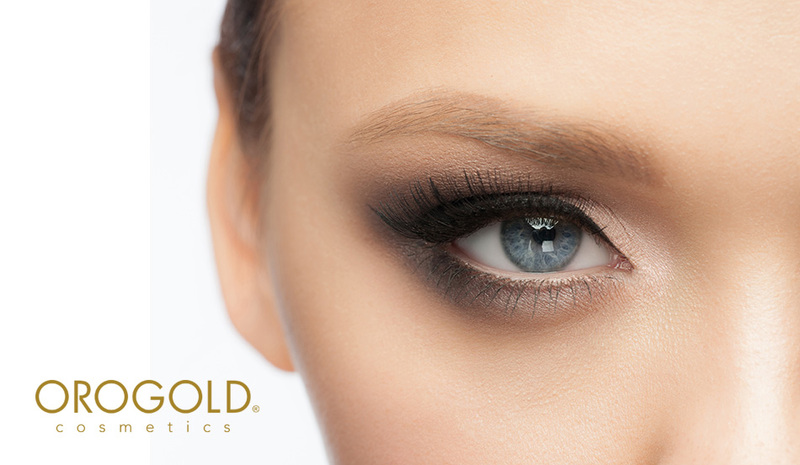 Use a potent eye cream or serum, such as Orogold’s 24K Anti-Aging Eye Serum or their 24K Intensive Eye Formula Cream, every night before you go to sleep. It should be the last step in your nightly beauty ritual. For best results, dab gently around the eye area using your ring finger, as the ring finger is the one least used among all five fingers, and thus doesn’t have much force that might tug or press down on the delicate skin of the eye area. Remember also that the first signs of aging usually appear around the eye area, as the skin here is the thinnest among all parts of the body. 6. If your eyes are starting to feel tired and dry from staring or working at the computer screen for too long, take a 20-minute break and rest. Close your eyes and place a cold towel over them to ease the discomfort and revitalize your peepers. The same applies to reading for long periods as well. 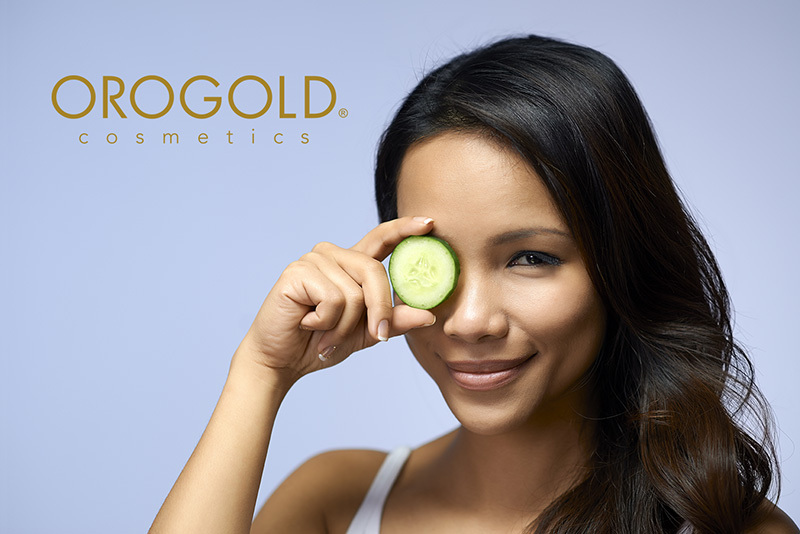 Using cucumbers to soothe eyes is no myth! 7. Catch up on your beauty sleep! Make time to get sufficient sleep to restore and re-energize tired eyes. The recommended number of hours by sleep and health experts is six to eight hours. 8. Think that cucumber slices soothing tired eyes is a myth? Think again: These moisture-rich slices can actually reduce the puffiness or swelling that come with dry, overworked eyes. Use chilled slices, put your feet up, relax, and only remove them once they’ve gotten warm. It’s a quick, easy remedy that you can do at home! 9. Another alternative is tea bags. Simply dip them in lukewarm water, place them in the fridge, and take them out once they’re cold. Put them over your eyes and voilà! 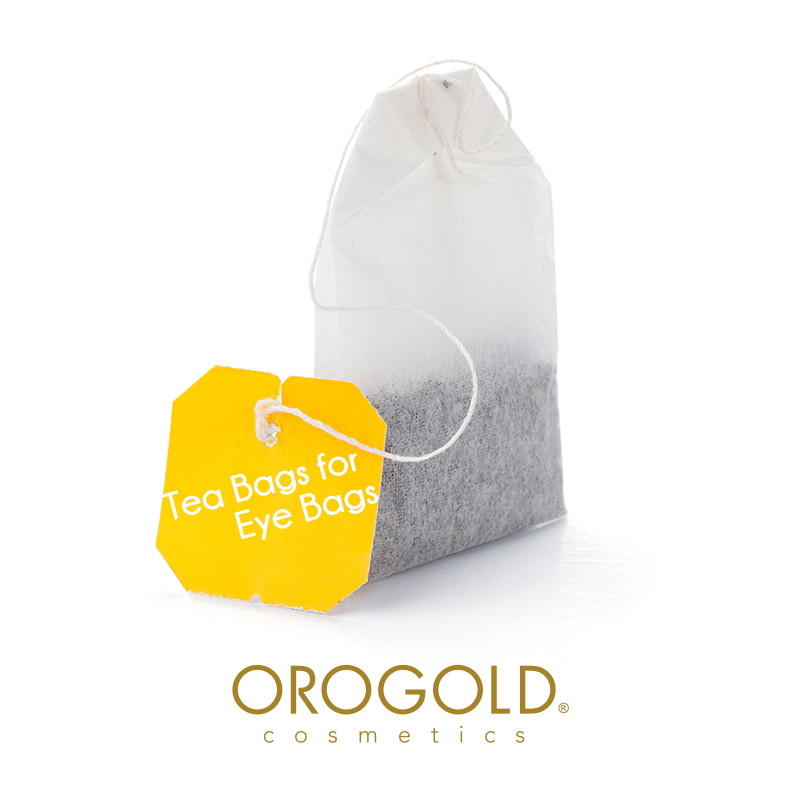 Get refreshed and relieved peepers in an instant. Tip: Use ice to cool or chill the tea bags if you’re in a hurry. Green tea is a great choice, as it contains plenty of antioxidants that fight signs of aging and free radical damage. 10. Use makeup to look like you are well rested. The rule of thumb to get a wide eyed and wide awake look is to apply light colors to the inner eyes and darker colors on the outer edges of eyes. Try using a flesh colored or pearlescent cream on the inner area near tear ducts. To really get a bright eyed look use a flesh colored or white liner on the inside bottom rim. Use our tips to get well rested and wide awake looking eyes. Let us know which of our tips you like best. Or send us pics of the ones you tried. We love to know how our readers use our tips!